I loved the original Raidho C1. It had a winning combination of low-impact cabinet size, wonderful build quality, and interesting in-house driver designs, all integrated into a satisfying whole. Musically, it grabbed my attention right away and whenever I am talking about small speakers, I always think of them. For years I have admired those small stand-mount speakers, driven by high-end source and amplification components, that are truly capable of realising very high levels of musical expression. Such designs have historically been in surprisingly short-supply, though things have got a lot better recently with some notable contenders in this category as driver and cabinet technology has improved so enormously in the past decade. Some might reject, out of hand, any speaker of this size and they will claim that low-frequency bandwidth and massive scale should be prime requisites within an audio system. That’s okay if you have the room to let large floorstanders breathe, suitable electronics, and the ears to dial them in to the extent where their good points don’t become liabilities. The number of such musically successful domestic systems I have heard can be safely counted on the fingers of one hand. For those of us with limited room and a love of listening to music through quality audio, the Danish company Raidho offer notable, if costly, salvation and the D-1.1 is the flagship of these small, supremely endowed models. Designed by Michael Børresen, the D-1.1 is the latest version of what began life as the D1. But, appearances can be deceptive and what we are really looking at here is virtually a new speaker that shares only the main cabinet and the tweeter with the D1. The baffle and back plate are new as are the crossover and rear connections, while the 115mm mid/bass driver has undergone major modifications with a new motor structure and surround. This has resulted in a 1.5dB rise in efficiency. Raidho’s designs have always been concerned with the elimination of harmful resonances throughout the speaker system and the open-backed design of the driver itself and the shifting of the position of the magnets, out of the airflow, have been geared towards this. 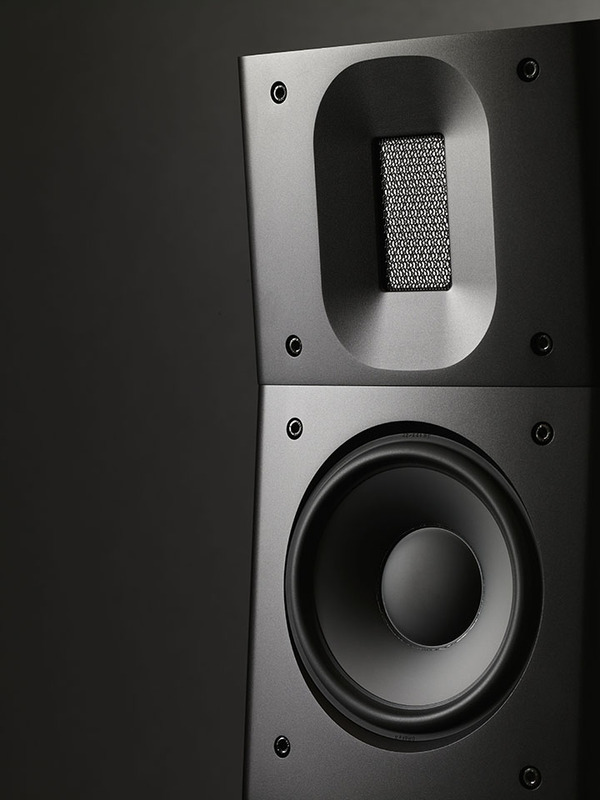 While the tweeter is identical, the performance of the new bass/midrange driver has become nothing short of epic. The diamond coating was probably born from one of those ideas that are forever floating around in speaker designer’s heads concerning cone material. The result, in the never-ending quest to combine supreme lightness with ultimate stiffness, was to apply a carat and a half of industrial diamond, that is 0.3g, bonded with graphite to the ceramic surface of each driver. Bearing in mind the pitfalls associated with ceramic driver manufacture alone, this was never going to come under the heading of a cheap or easy-to-manufacture option. It took a lot of research and experimentation to get the process just right, but I reckon that this is the kind of attitude and dedication that very often results in fantastic audio products, because that is what we have here.